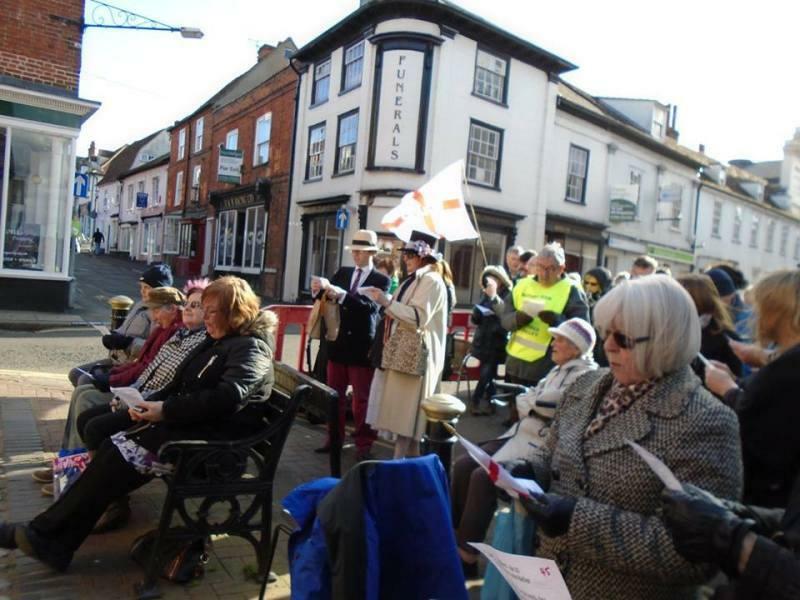 On the 23rd of April 2016 the crowds decended on the market cross in the centre of Manningtree to celebrate the 400th anniversary of Shakespeares death with an attempt at the World Record for the most people reciting the St Crispin Day speech from William Shakespeare's King Henry V. ONCE MORE UNTO THE BREACH DEAR FRIENDS and also from Henry IV part 1 the famous Manningtree Ox with a pudding in its belly. 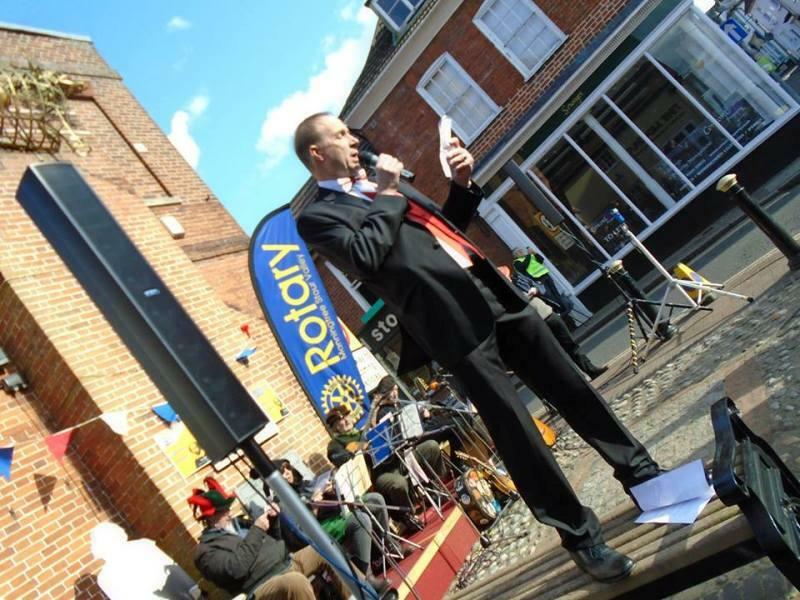 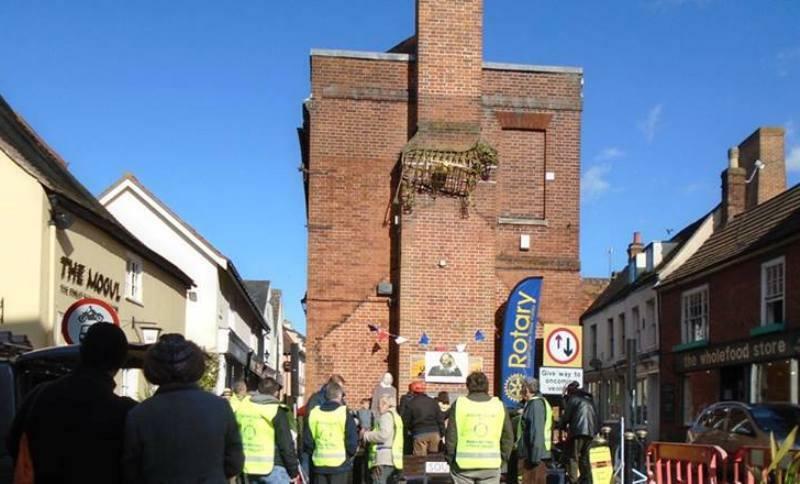 A large crowd of brave Shakespeare fans joined the members of the Rotary Club of Manningtree Stour Valley in the cold underneath the sculpture of the Manningtree Ox with a pudding in its belly and performed the speeches with passion and cheers of joy. 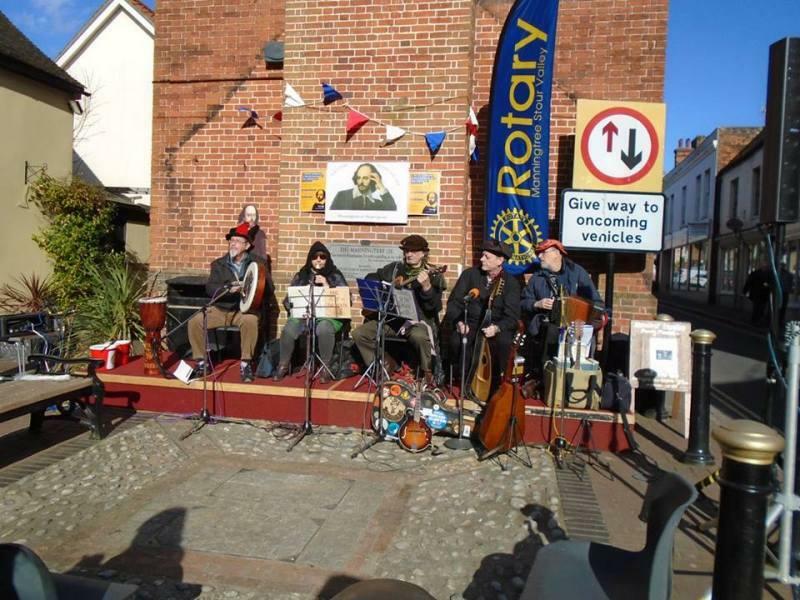 They were entertained by John Goodluck and the Bards of the Heath before and after the attempt. 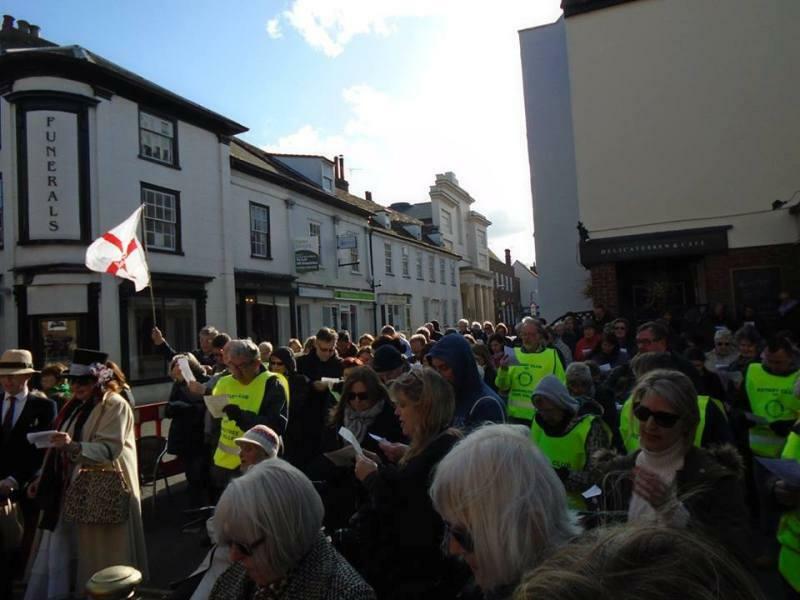 Manningtree is proud to celebrate its link with Shakespeare and we are delighted that 141 people did set a World Record.